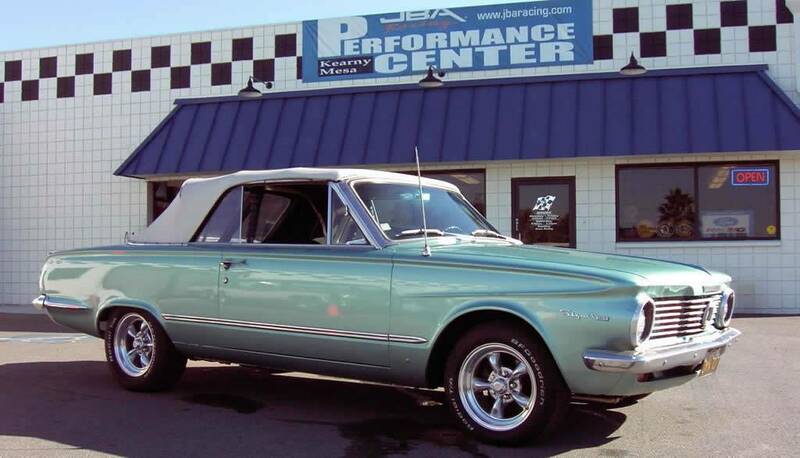 Dave brought his rather tired 225 cubic inch slant-six 1964 Plymouth Valiant Convertible into JBA Performance to transform it from its faithful duty as a reliable runabout vehicle to a full-on performance hot rod. Dave reckoned that he owed the ragtop some thoughtful restomodding for all its trouble-free service. Besides, not many car guys can lay claim to having their same ride from high school. 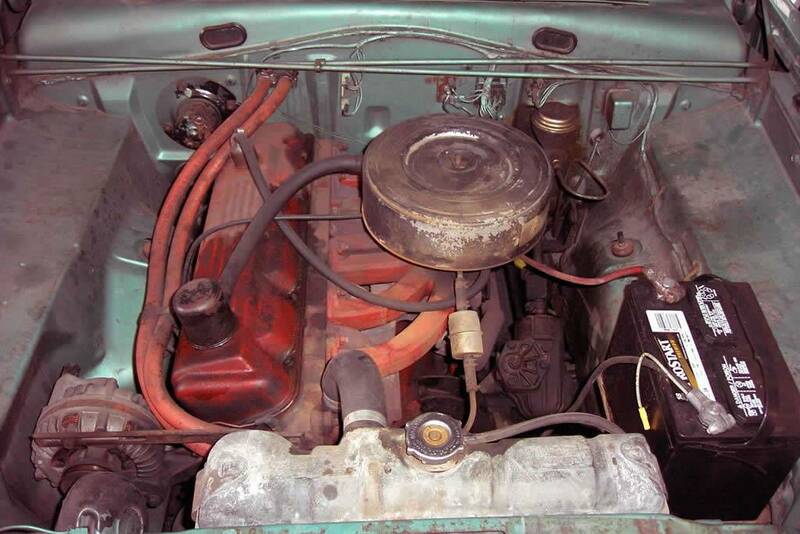 Those who have owned the slant-six powered Plymouth Valiants of the mid-‘60s know how tough these engines are. So long as you change the oil at the recommended intervals and keep them tuned up, they’ll give the Energizer Bunny a run for its money. Of course, the easy road to hot rodding many a vehicle is to drop in an all-new small-block V-8 crate mill, renew the rest of the drivetrain and call it good. But, if you still had your high school sweetheart, is that how you would treat her? So, Dave conferred with J. Bittle and the master mechanics at JBA and determined that a righteous rebuild of the 225ci slant-six was the only way to go. 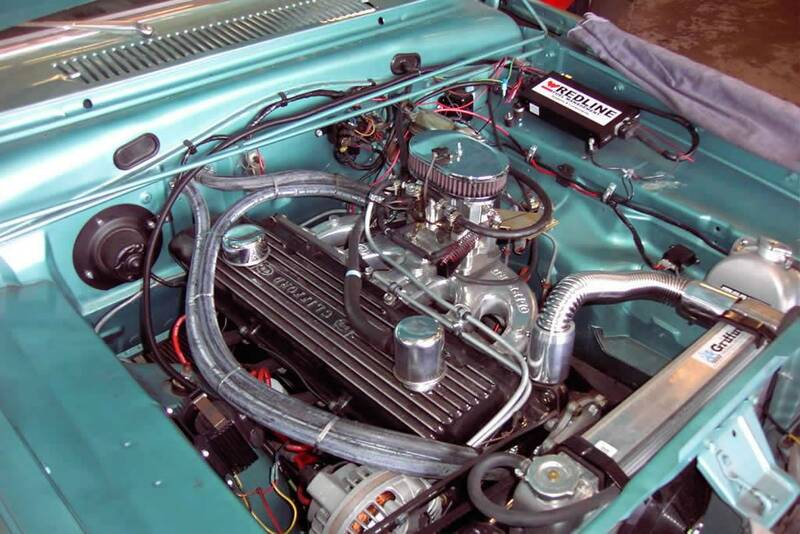 Then, JBA ordered every available engine component for the Mopar mill from Clifford Performance in Wildomar, CA including the rotating assembly, the cylinder head, the intake, the exhaust header, and a Weber Redline electronic fuel-injection system. All of these considerable engine improvements meant that the manual transmission required a full rebuild to handle all that extra torque and horsepower. JBA Performance thus renewed the original trans, installed a new steering rack and heavy-duty torsion bars, and fitted Wilwood disc brakes in the front. For the rear end, a narrowed 8.75-inch Chrysler differential provided the perfect sort of stout pumpkin to get all that extra power to the pavement. Before dropping the renewed mill in the engine bay, JBA concocted a custom mix of paint for the compartment—which was artfully applied via spray cans and a careful masking of the Valiant’s surrounding sheet metal. With the power and underpinnings all good, Dave and JBA selected the just right sort of old school performance American Racing five-spoke rolling stock and modern radial rubber to make the Valiant a much better corner carver than in its youth. 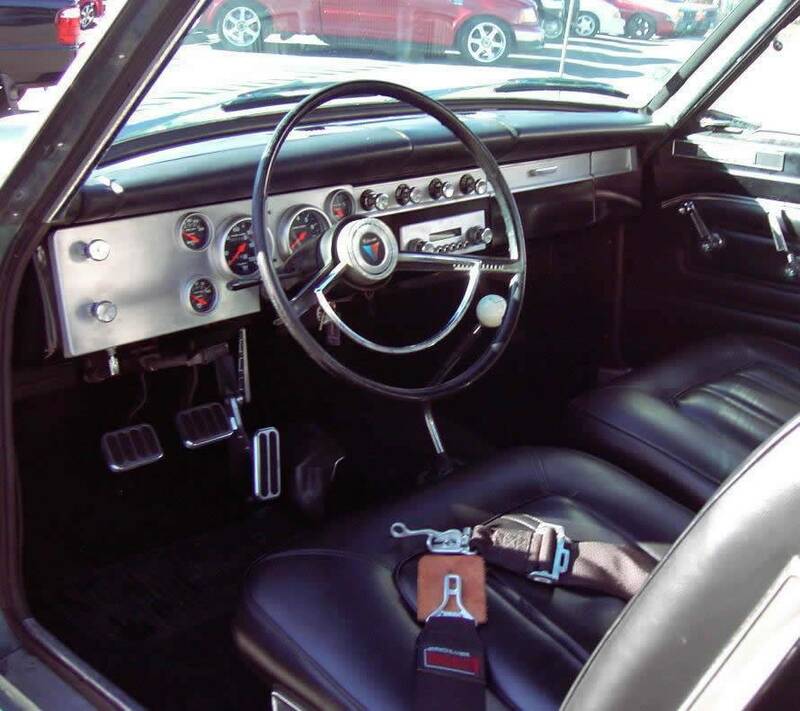 Then they installed a custom aluminum dash bezel replete with a new gauge cluster and finished off the interior with period-correct three-inch lap safety/seat belts. The American Racing Torq-Thrust II’s and BFGoodrich Radial T/A rubber give this slant-six sleeper an authentic old school look. Notice JBA Performance also welded in a full-cage roll bar, just in case Dave wants to really get his foot in that inline-six. In the Gallery, you’ll see the original 225 cubic inch slant-six in all its original glory, still running fine, but in need of some sweet rebuilding and hot rodding. JBA Performance selected every imaginable 225 slant-six trick component from Clifford Performance and fully rebuilt the Plymouth mill for plenty of show and even more go. Check out the Griffin aluminum radiator for making sure this hotted engine keeps its cool. Period correct lap racing belts, a brushed aluminum dash bezel, new gauges and billet go, stop and clutch pedals add the tasteful finishing touches to Dave’s slant-six sleeper. Thanks to Dave’s vigilance in keeping the Valiant through the years and the talented crew at JBA Performance restomodding it, there is one more four-wheeled high school sweetheart that has an all-new lease on life.